A fresh, breezy update by Patrick Marber of Turgenev’s classic comedy A Month in the Country, this is a tale of unrequited passion, unfolding over the course of three days in the sunny Russian countryside. Full of wit, folly and heart, men and women, both young and old, learn the tender and ridiculous lessons of love. 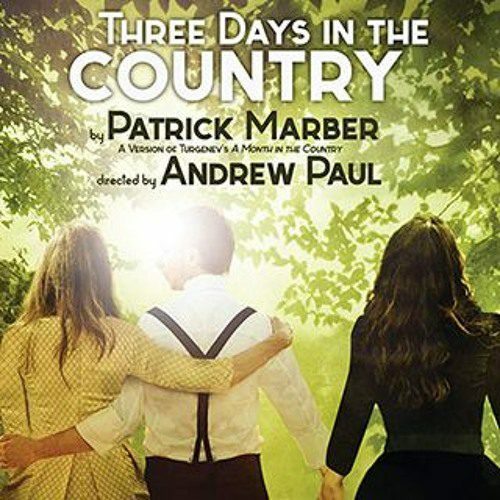 July 18, 2018 Audio Interview: Armin Shimerman (Quark of "Star Trek: Deep Space Nine") in the Antaeus Theatre Company's production of "Three Days In The Country"
Theatre Plays Podcast "Antaeus Theatre Company"